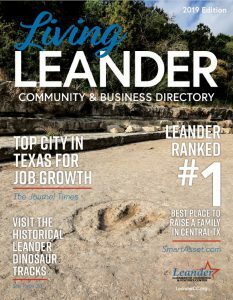 The Leander Chamber of Commerce is here to help you start and grow your business. 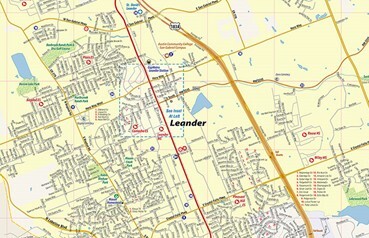 If you are looking at starting a business in Leander, Texas, call us and setup an appointment. We are happy to help answer questions and guide you through site location, help you with initial contacts, and market your new venture. Business Planning: Personal Goals, Skills, and Financial Assessment Assistance with Market Research and Feasibility Analysis Preparations; Legal and Tax Structure Assistance; Business Plan Assistance; Implementation of Marketing and Financial Plans; Establishment of Bookkeeping System and International Trade Development Basic Requirements for Starting Your Business. Registering the name of your business: You must obtain an Assumed Name Certificate (DBA) at the County Clerk after verifying that the name you have chosen has not already been registered in the county. Contact the Williamson County Clerk at (512) 943-1515, 405 Martin Luther King St., Georgetown, Texas 78626-4901. For filing instructions click here. State Sales Tax Permit: Business involved in selling, renting, leasing or providing taxable items or services must obtain a Sales Tax Permit from the Texas Comptroller of Public Accounts. This office also assesses the annual state franchise tax from Texas corporations. There is no cost to obtain the sales tax permit. Employer Identification Number (EIN): The federal tax number is required by all businesses except sole proprietorships with no employees. This number is used to file Employer Tax Returns, make deposits of employment taxes, and file business tax returns. This number is obtained from the Internal Revenue Service (IRS) and there is no cost for the number. Employer requirements: Besides obtaining the EIN and depositing payroll taxes, employers must comply with several other requirements. The state unemployment rate is paid to the Texas Workforce Commission. Employers should also contact the U.S. Department of Labor, Wage, and Hour Division and OSHA Division, regarding employer requirements including display of certain posters that can be easily seen by employees and applicants. Also contact the Texas Department of Insurance and the Texas Worker’s Compensation Commission for information about workers’ compensation requirements and classifications. Incorporating: Articles of incorporation must be filed with the Secretary of State Corporations Section. There is a $300 filing fee for Texas corporations. Licenses and Permits: To determine if your business requires local, state, or federal licenses or permits, contact the Economic Development and Tourism Division in the Office of the Governor. This division has a directory for all the occupational Texas licenses and permits, and also has information about local and Federal requirements. Business Property Taxes: Property tax must be paid to the county appraisal district on tangible personal property used to produce income. Business owners must report all inventory, equipment, and machinery. The report is filed annually between January 1st and March 31st. For property in Hays County, contact the Williamson County Appraisal District at (512) 930-3787, or visit their office at 625 FM 1460, Georgetown, Texas 78626-8050. Self-Employment Tax: Because FICA is not withheld from self-employment earnings, self-employment tax is paid to fund social security and Medicare benefits. For more information regarding Self-Employment Tax, visit the IRS website.